Your box spring doesn't have to be so boring! 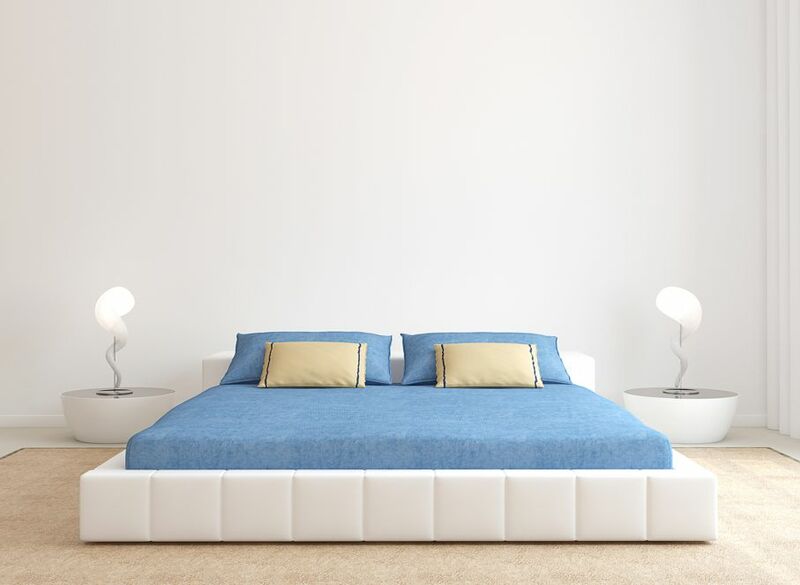 Customize your bed area to your taste with these helpful tips from House Tipster. 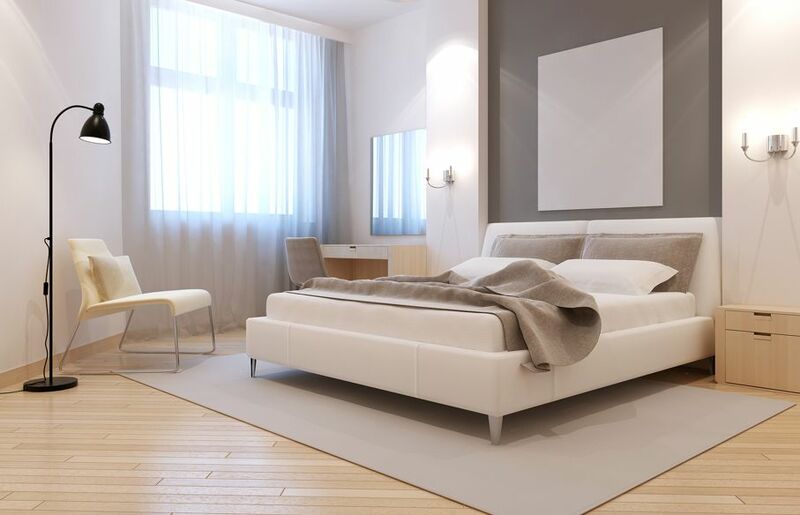 If you are among the interior design savvy, your home is likely stylish and comfortable but perhaps one thing you have not yet focused on is your headboard. Here are a few stylish tips for taking your box spring from functional to fashionable. There are many tutorials that can walk you through the process of making an upholstered cover for your box spring, but one of the sneakiest tips of them all is to simply invest in a high quality fitted sheet and put it on inside out. Flip the box spring over, with the sheet now on the floor, and when you make the bed, the box spring will actually have a tailored look. It is easiest if you do this infrequently, so be sure you select a sheet that matches but contrasts and coordinates with the rest of the bedding. If your bed is on the floor, keep everything as visually low as possible. You can find low benches to use as a nightstand, but also keep artwork lower on the wall, allow wall hangings or window dressings to reach the floor and keep lamps at lower heights. This ensures that the bed will look appropriate and not wildly out of place from the rest of your belongings. If you’re opting out of a headboard, you should try to define the head area of the bed from the wall by using oversized pillows in darker colors and contrasting fabrics. You could even frame one edge of the bed along the wall, giving it the look of a low sofa or day bed. Define the area behind the headboard with a lengthy tapestry or wall hanging. Display large-scale wall art or a collection of framed pieces above the bed. It defines and distinguishes the bed area, giving it a far more completed look than if it were just a mattress and box spring sitting on the floor. 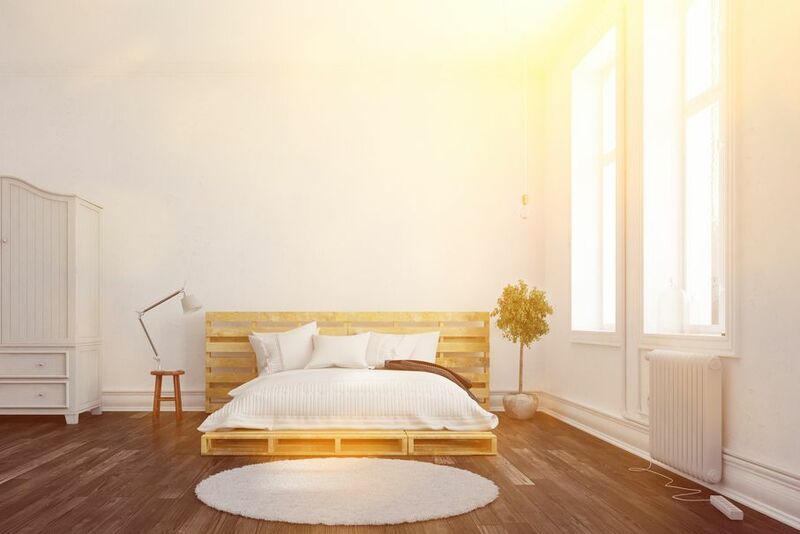 There is a huge trend in using wooden shipping palettes to easily turn your bed-on-the-floor issue into a much more appealing platform bed. Look online for a few tutorials or inspirational photos, and style it to match. 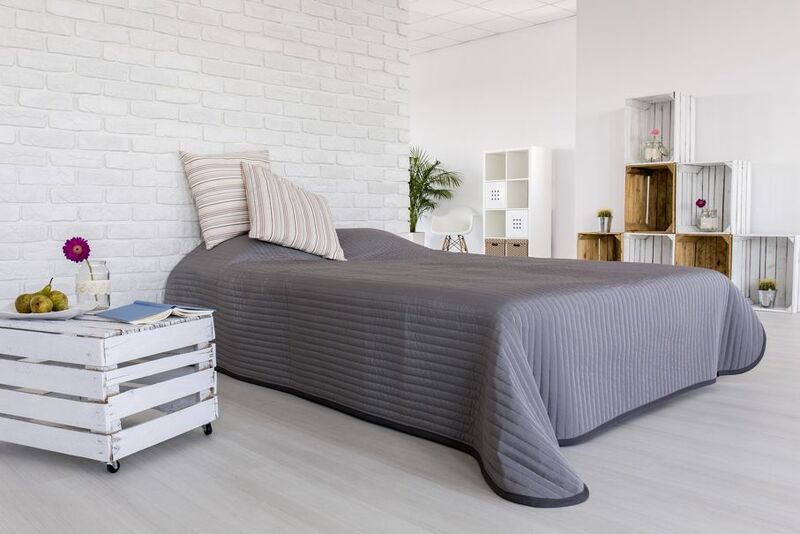 No matter what sort of flooring your bed is sitting on, you can boost the visual appeal and the overall warmth of your bed by positioning it on a larger area rug. 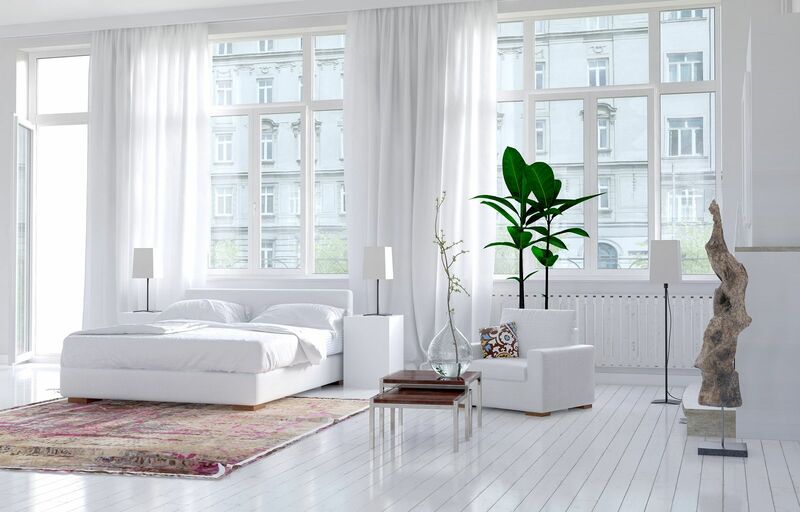 Be sure it extends past the perimeter of the bed by around 12" or more, and make it a shade that is either lighter or darker than the floor beneath, which will work as a matte and frame visual.